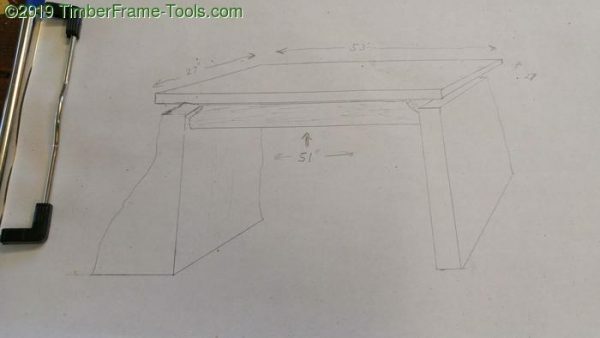 My design for a Floating Top RIver Desk with Slab Sides. My son currently uses a desk that is a simple trestle style that belonged to his grandfather. I like the style of it, but it was from an era that knew nothing of laptops and mice and was a bit small for today’s deskly duties. He has simply outgrown the desk and was in need of a bigger model. Large surface – large surfaces can tolerate more crap. Dark stain – he likes dark wood. Had to make use of some natural Oak slabs I had acquired. Joinery had to account for slabs not being fully dried. Only wood joinery … no metal. The legs will be thick slab sides of red oak, that will have live edges and natural shape. The stretchers will give the illusion of a floating top. They will connect to the slab sides with dovetails. They will attach to battens in the table with sliding dovetails. They will be textured, and made to look as black as possible. This style would allow for the slab sides to go through considerable changes as they dry and at the same time account for the seasonal changes in the desktop. 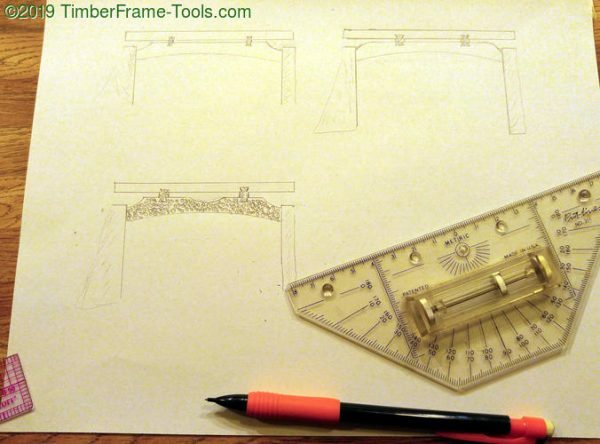 Rolling Ruler – Great for drawing parallel lines rapidly. Transparent Grid Ruler – Helps for nice lines. Plastic Clipboard w/ Storage – Very handy in the shop when you need stored paper not to be covered in sawdust.